Geffen release Nirvana’s Live at the Paramount on vinyl for the first time ever. This is also the first time as a stand-alone audio release outside of its inclusion as bonus material on the Nevermind 20th Super Deluxe Edition. 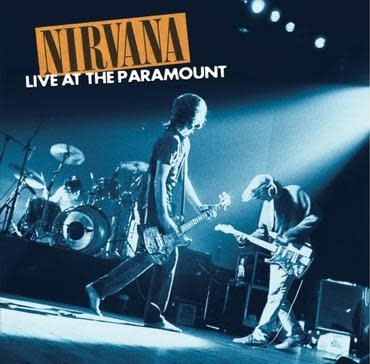 Live At The Paramount was the only Nirvana show ever to be shot on 16mm film, and was recorded at the Paramount Theatre (obviously) in Seattle on October 31, 1991. Includes a 12×24” poster insert and a sticky cloth VIP pass replica of the original pass used that very night of the concert as the download card.